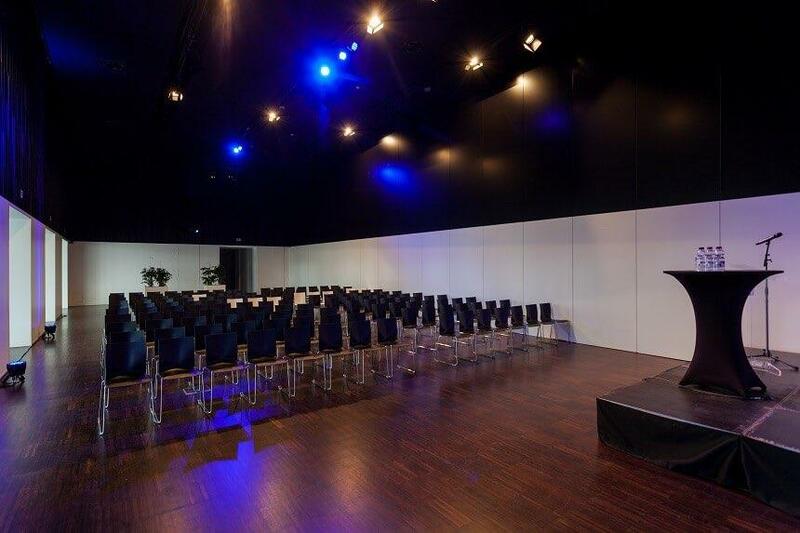 You can rent rooms for meetings, seminars, trainings and events for up to 600 participants. All rooms are equipped with professional high tech audiovisual equipment and other innovative technology to guarantee high level events. Various support services including catering services make the organisation of your meetings & events very easy. BluePoint Antwerpen also offers 3 outdoor spaces, including a stunning roof terrace. 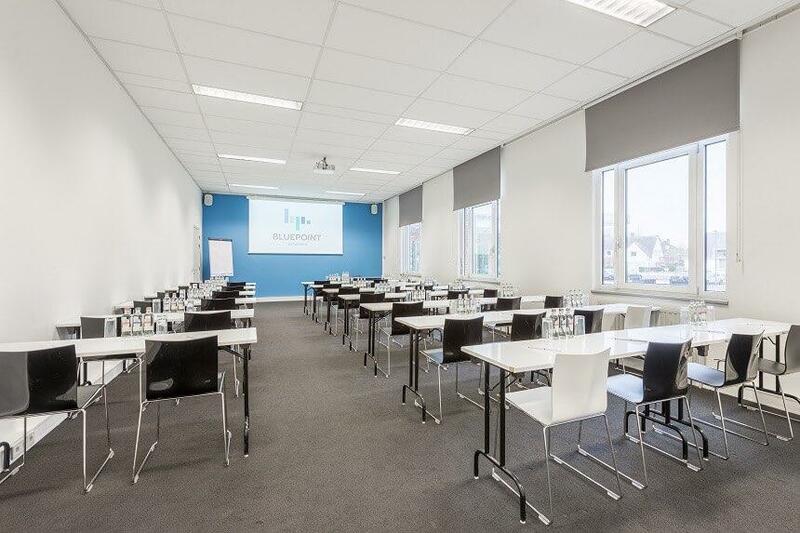 BluePoint Antwerpen is the ideal venue to accomodate large-scale events for special occasions. 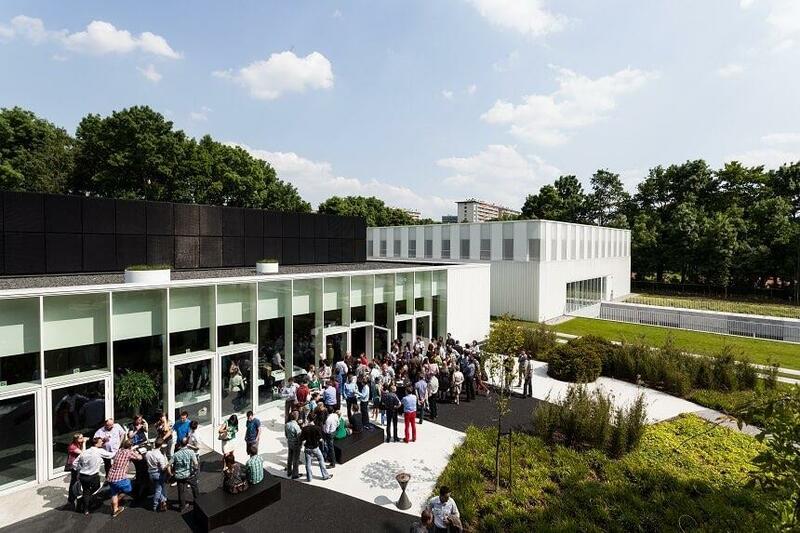 A parking lot and cloakroom, meeting room, audio-visual support and catering service; everything is available to offer your guests an unforgettable experience. 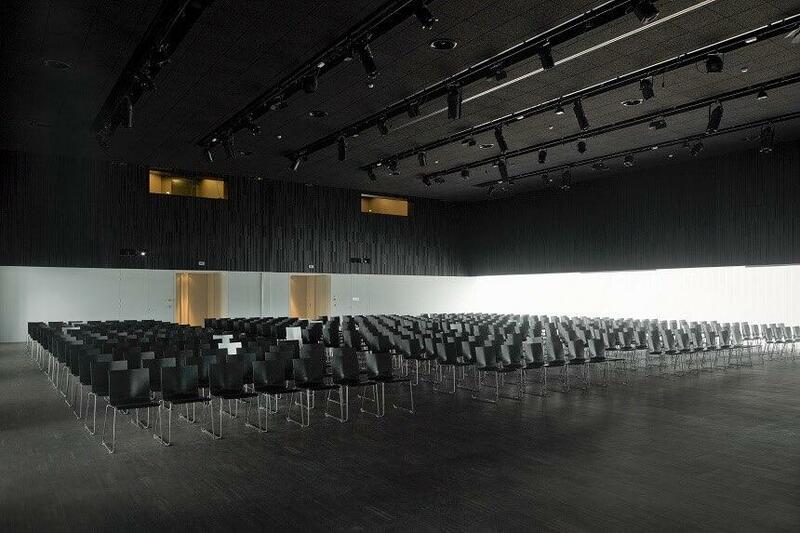 Two terraces are connected to the largest event halls and can accommodate up to 200 participants each. The most impressive terrace is located on the rooftop next to a trendy bar. It can accommodate 100 guests for a cocktail reception, an after work drink or a BBQ. 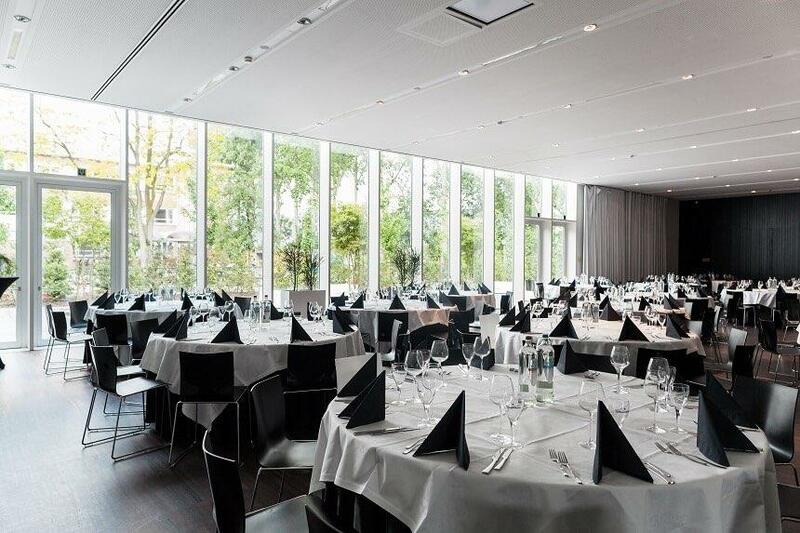 Next to corporate events, BluePoint Antwerpen also offers event spaces for private celebrations. Our multi-purpose rooms are perfect for organizing weddings, baptisms, bar mitzvah’s and any other important family events. 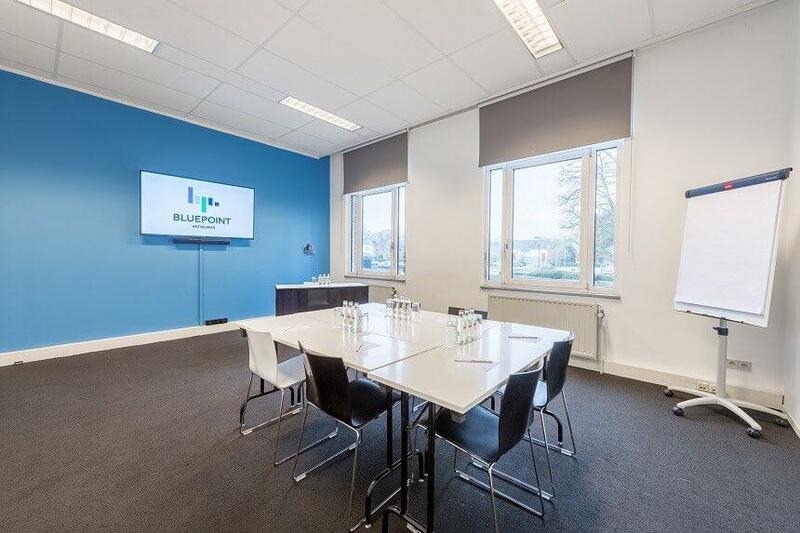 When you rent event space at BluePoint Antwerpen, you get the event organization services on top of the room. Your needs will be mainly handled by our own on-site team. For more specific needs with regards to decoration, furniture, photographers, interpreters and DJ’s, our team contacts external partners. Everything is centralized by one single contact person who will assist you before, during and after the event.